James Paul McCartney was born on 18 June 1942, in Liverpool, England. is a famous English musician, keyboard player, guitarist, as well as a singer and songwriter. To the public, Paul McCartney is perhaps best known as a member of the cult rock band called “The Beatles”, which also included Ringo Starr, John Lennon and George Harrison. A well-known singer and a member of “The Beatles”, how rich is Paul McCartney? According to authoritative sources, in 2013 he earned an annual salary of $47 million, while in 2014 his annual income rose to a total of $71 million, which contributed significantly to his net worth, estimated to be over $1.2 billion, the majority of which he has accumulated from his involvement with “The Beatles”, as well as his solo career. Paul McCartney attended Joseph Williams Junior School, and then enrolled in the Liverpool Institute, where he met George Harrison. As a teenager, McCartney was interested in music, and learned to play the guitar. In 1957, McCartney joined a rock and roll group called “The Quarrymen”, which was established by John Lennon. McCartney and Lennon soon became friends, and then in 1958, they were joined by Harrison and Stuart Sutcliffe. Two years later, the group changed its name to “The Beatles”, under which they became known worldwide. Paul’s net worth had begun to rise. The group rose to prominence in 1962 with the release of their single called “Love Me Do”, which became an international hit, and inspired the release of numerous covers. A year later, “The Beatles” released their debut album entitled “Please Please Me”, which signified the beginning of their global success. Over the years, “The Beatles” released such influential albums as “Rubber Soul”, “Sgt. Pepper’s Lonely Hearts Club Band” and “Abbey Road”. With more than 178 million CDs sold in the United States alone, and a total of 600 million albums sold worldwide, the band is among the best-selling artists of all time. The majority of their music was written by the band members, notably Lennon and McCartney, so they were largely self-made successes. Their contributions to the music industry have been acknowledged with 10 Grammy Awards, three BRIT Awards, as well as 15 Ivor Novello Awards, plus their diversions from main stream rock and rock ‘n’ roll encouraged many other artists to experiment around these genre. 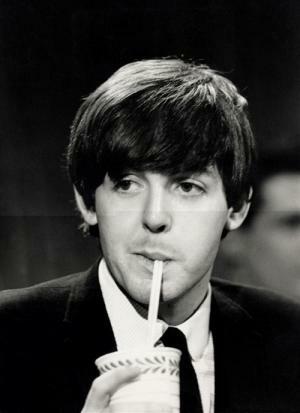 In terms of net worth, Paul at least owes his overall success to his years as a Beatle. When “The Beatles” broke up in 1970, Paul McCartney focused on his solo career, and that same year released his first self-entitled solo work. The success and public acceptance of his debut album inspired the release of “Ram”, his second studio work, which featured such hit singles as “The Back Seat of My Car” and “Uncle Albert / Admiral Halsey”. McCartney’s most recent solo work is an album called “New”, which was released in 2013 to favorable critical reviews. Overall, McCartney has released 16 solo studio albums, and taken part in 13 world tours. Additionally, Paul formed the band Wings with Denny Seiwell, Denny Laine and wife Linda, which was also successful over the next decade. Both the band and his solo career contributed significantly to Paul’s growing net worth. In recognition of their musical accomplishments, all The Beatles were rewarded by The Queen with ‘Members of the Order of the British Empire’ medals in 1965, and Paul was knighted as Sir Paul in 1997 for services to music. He was also instrumental in organising The Queen’s 50th anniversary concert in 2002. In regards to his personal life, Paul McCartney married Linda Eastman in 1969, with whom he had four children in an apparently happy personal and professional union which was sadly ended when Linda died from breast cancer in 1998. In 2002 Paul married Heather Mills, with whom he has a daughter, but they divorced in 2008. In 2011, McCartney married Nancy Shevell.